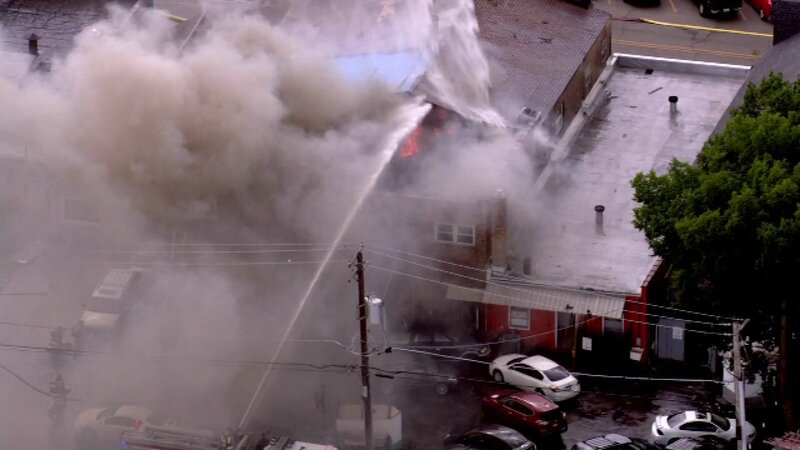 ROUND LAKE, Ill. (WLS) -- Firefighters are at the scene of a blaze in a building that houses both a business and apartments in north suburban Round Lake. Emergency crews arrived at the scene shortly before 5 p.m. The building housed a tax service on the first floor and apartments on the upper floors, and is next door to a gas station. No injuries were reported. Fire officials said one person is unaccounted for, but it is unknown if they were in the building at the time of the fire. The cause of the fire is unknown. Fire officials said the building is a total loss.